It comes with different sizes and colors of ink; the color of the barrel and cap can be made by requested Pantone no. ; and we can print the logo on the barrel according to customer’s artwork. Material of barrel: PP; Cap and plug: PE. Our ink have passed EN71 and ASTM-D4236 standard; there are hundreds of colors that can adjusted per customers’ request. Or customers can ship their own ink to Taiwan that we can help with the importing process and produce the marker pens with customers’ ink. 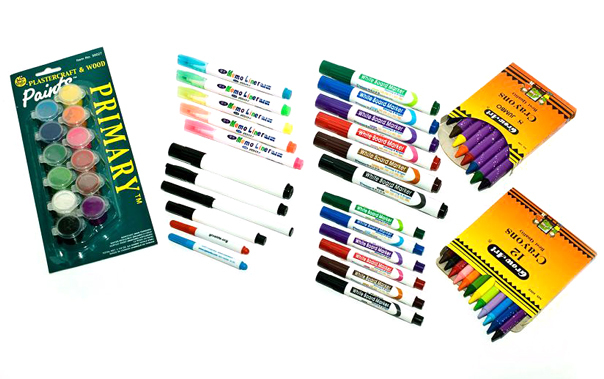 We have a regular customer in U.S.A. that placing repeat order of custom-made marker pens with different designs every month; our business relationship is almost 10 years with their satisfaction of our quality and services. Ink: passed EN71 and ASTM-D4236 standards; hundreds of colors can be adjusted according to customers’ request. Barrel; cap; logo can print according to customers’ pantone no. and design. Can be combined with stylus head on the cap.